One of the most important technologies used in the development of a product is the computer-aided engineering (CAE) also known as simulation. Our involvement in an huge variety of R&D projects has enabled us to gain the right know-how and expertise in technical calculation, for which we employ more than 60 calculation specialists and several computer clusters (up to 64 CPUs running in parallel). When developing a new product it is essential to have the capacity to cover all the different disciplines involved. Regarding this subject, our technical calculation team has a great deal of experience in projects for producing entire vehicles, from their initial concept to their final validation, and adaptability, which allows us to meet the specific requirements and goals of each project and client. The quality of the results obtained with a simulation model is directly related to the material behaviour laws applied thereto. Regarding this subject, CIDAUT uses the most advanced material characterisation methodology based on the instrumentation of tests and analyses by means of the ARAMIS software. This has allowed us not only to obtain highly accurate results but also to develop a work methodology to obtain the material cards for specific calculation software in a fully automated manner, without having to resort to a costly reverse-engineering process to obtain the information about the materials. Here at Cidaut we have the majority of the most advanced commercial simulation tools used in different sectors (automotive, aeronautical, rail, power generation, construction, and so on) to develop new products and industrial processes. 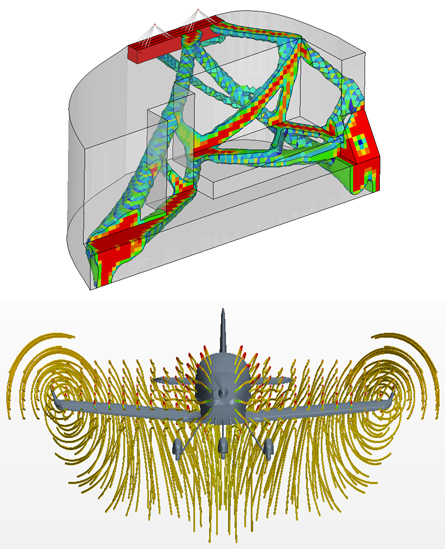 We are vastly experienced in the application of implicit, explicit, fatigue, multibody, vibroacoustic, CFD, multiphysics and optimisation calculation methods, as well as in the use of mesh, pre-processing and analysis tools. 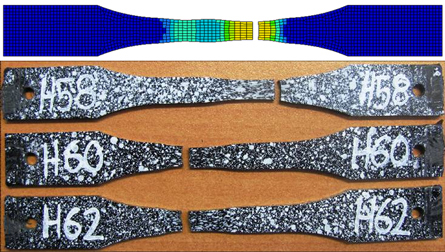 Mechanical, thermal, and coupled thermomechanical analyses. Nonlinear static, buckling, and post-buckling analyses. 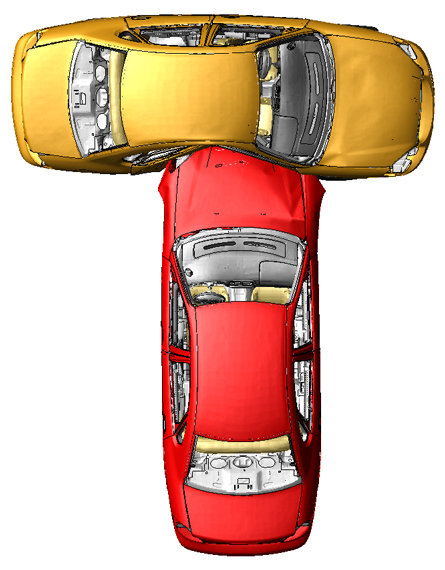 Vehicle structure, full head-on and side collisions, NVH, pedestrian protection. Simulations of vehicle interiors, occupant protection, restraint system, trims stiffness, acoustics, head impacts. CFD analysis for interior conditioning, windshield defrosting, cooling, and aerodynamics. Advanced fluid-structure interaction simulations for diverse applications: airbag deployment, sensors, in-tank fluid motion, explosions, etc. On the other hand, in accordance with our overall work methodology for ensuring the success of a project, there must be strong interactions and synergies between the numerical simulations and the experimental validation of the developed product or system. Regarding this subject, we have the most advanced labs and a proven track record in the development of vehicles based on simulation and testing. This affords us a privileged vantage point from which to accurately determine the gap existing between the virtual and real worlds, which in turn makes it easier to correlate the calculation models and increases their reliability.